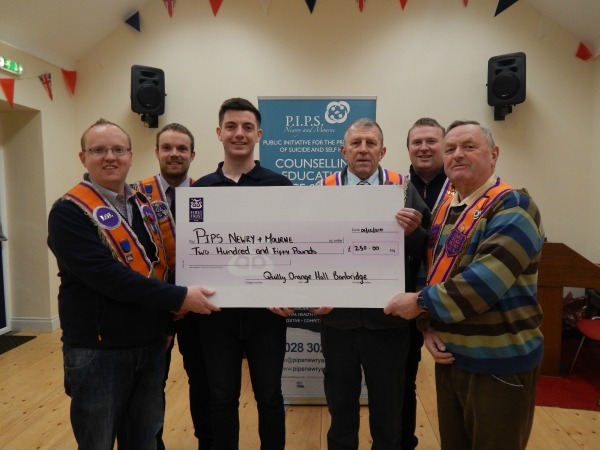 Quilly orange hall donated £250 to PIPS Newry and Mourne on 1st December 2016. The money was raised by a Harvest festival held by members of the Quilly Orange Hall. Shane Murphy met with Paul Roulston for the cheque presentation.